Breaking into the all-male profession, Meena Chaudhary is the first female mahout of Nepal. Taking control of the elephant rides, she takes prides on being one of the few females who are into the stereotyped male profession. It was only after being picked from a female-only shortlist of 15 candidates as a part of a government scheme to get more women working in the public sector that Chaudhary was selected for the highly-specialized role of becoming a mahout. With the aim of proving women equal as men, she became an elephant driver which she is proud of and she believes that in time when women are flying aircrafts, driving elephants is just a piece of cake. Her job as the mahout is to take tourists on elephant-back safaris in southern Nepal’s Chitwan National Park which is home to the endangered Royal Bengal tiger, the rare one-horned rhino and other exotic animals and birds. 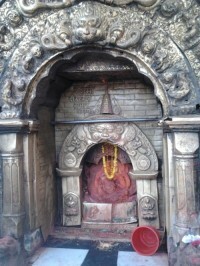 As women are often considered weak in the conservative Himalayan nation of Nepal, the job had traditionally been a men-only job, a tradition, Meena Chaudhary was brave enough to break. One who had been trained on how to treat elephants and how to drive them towards the jungle for three days, Chaudhary had led up to half a dozen drives a day for her first two months. While undergoing selection and training process, she had also been asked to climb trees and swim. Although she was nervous when she had started, especially on her first day of meeting so many people, she later started to feel comfortable with her job. 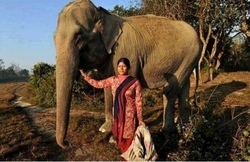 Among about a hundred mahouts in Nepal, with a handful paid by the government and the rest employed by the hotel industry in Chitwan, Meena Chaudhary is the first female mahout to break the male stereotype and enter into the business of driving the elephant into the Chitwan National Park to take the national and international tourists closer to the wildlife and nature.